Today, rather than standing on the side of the Filipino masses, 10 of the 15 justices of the Supreme Court of the Philippines decided to uphold the 2014 Enhanced Defense Cooperation Agreement (EDCA), allowing the US military to occupy indeterminate areas of the Philippines. 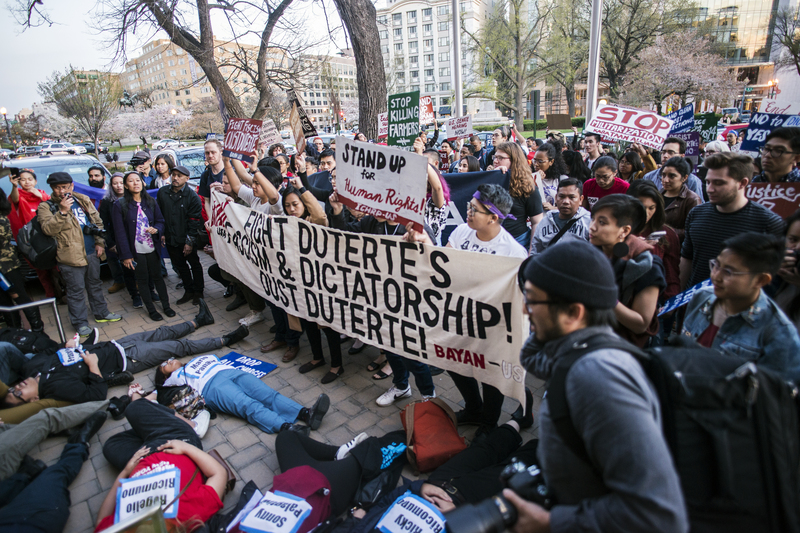 BAYAN USA condemns the Court’s decision as a dangerous affront to Philippine sovereignty. We stand firm that the EDCA is unconstitutional, and it will in essence reverse the 1991 Senate decision to remove US bases from the Philippines. National mass actions led to this decision in 1991, and today we must continue to defend Philippine sovereignty against the increased US military intervention in the Philippines. “Today the Philippine Supreme Court ruled in favor of US neocolonialism. The US-puppet Philippine government continues to deceive the Filipino people into thinking we are an independent, sovereign republic when history proves that as long as US military personnel and facilities remain in the country, we are under the thumb of US imperialism, deterred from fully exercising our own sovereignty as a nation,” stated Bernadette Ellorin, chairperson of BAYAN USA. “The fact that the US military will be allowed to occupy Philippine facilities, station warships and fighter jets and deploy more US troops is a violation of the Philippine constitution. The only difference between today’s EDCA and the previous military bases agreement is that the US doesn’t even have to pay to build or rebuild its own US bases, because it will just use Philippine facilities free of charge!” continued Ellorin. The Philippine Constitution states, “foreign military bases, troops, or facilities shall not be allowed in the Philippines except under a treaty duly concurred in by the Senate… and recognized as a treaty by the other contracting State.” Therefore, in order for this decision to be validated under our Constitution, EDCA should have been ratified by the Philippine Senate and recognized as a treaty by the US Senate. President Aquino rushed the executive decision to sign the EDCA prior to President Obama’s visit in 2014, bypassing the Senate in order to cater to the demands of the US Asia Pacific pivot. “The EDCA will not bring protection for the Philippines against China’s incursions as Aquino and his loyalists like to argue; as the US stated, they will not come to the aid of the Philippines if China decides to militarily attack the Philippines. The EDCA will only bring more US troops like US marine Joseph Pemberton–found guilty of the murder of Filipina Jennifer Laude–and more death and destruction to the Philippines,” stated Ellorin. “We must continue to oppose US treaties and agreements that are one-sided, benefiting only US imperialism and not the Filipino or American people. We need to remind our government that it should represent the Filipino people’s interest over the demands of the US, and spend much needed money on social welfare and infrastructure for the majority of poor citizens instead of on facilities for US stationing or special prisons for convicted US military personnel. Both the US and China are guilty of violating Philippine sovereignty, and we must take action to genuinely protect our sovereignty, not undermine it with the likes of the EDCA!” declared Ellorin.